Plump on mountain Malbec, local cheeses and charcuterie, we pop back into the company Mercedes and roll North across the valley. 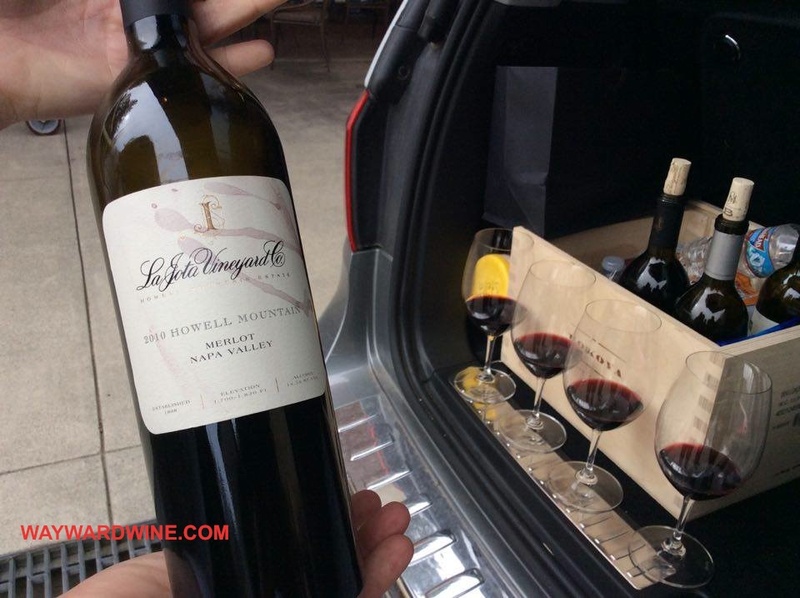 Leaving cool, wet, Mt Veeder, past Atalon’s old winery, Howell Mountain looks drier with its Cabernet vineyards locked in iron-rich chalk and trees, waiting to become the next Lokoya Cab. But we do not linger. We have bottles of La Jota to try. So we hop in the Mercedes and head over to La Jota. W.S Keys began planting La Jota vineyard in 1888. 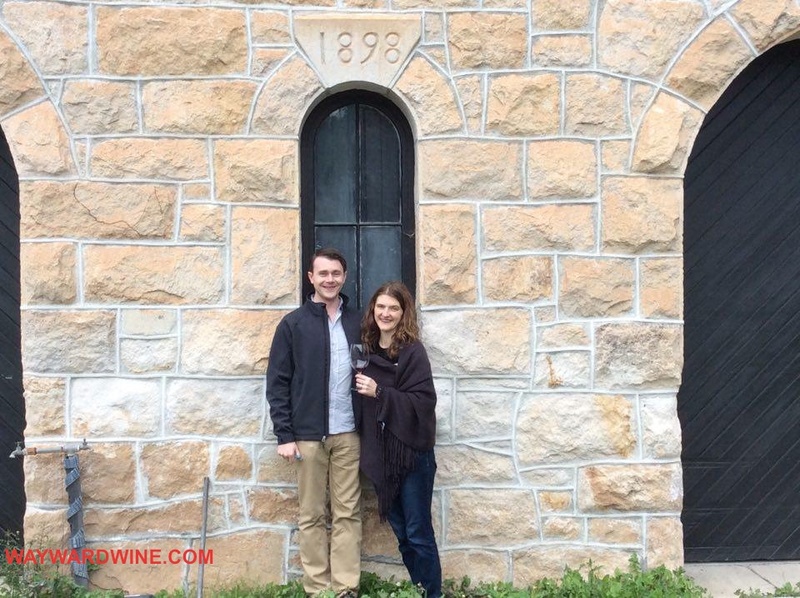 Swiss Frederick Hess built a winery here in 1898. Both won at the 1900 Paris Exposition. 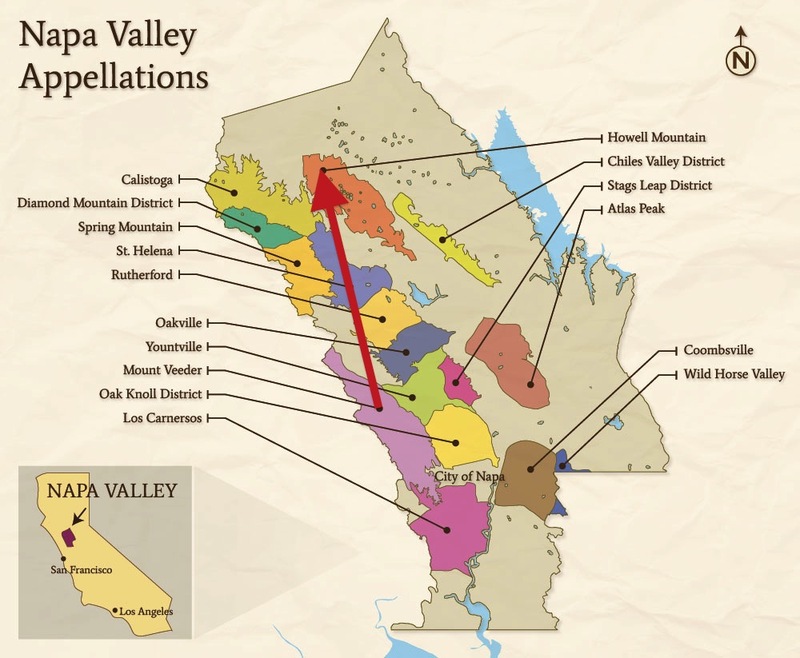 While the rest of Napa planted the easy valley, here, 1,400 feet above sea level, cold, strained vines produced deep, concentrated fruit. APPEARANCE: Clear, dense purple core, with a clear, half inch rim of garnet. PALATE: Dry, medium acidity, medium plus slightly roughed up velvet tannins, medium plus alcohol, medium plus body. AROMAS AND FLAVORS: Pronounced aromas of cedar, dried leaf, and cocoa lead a dark blackberry liquor and dark fruit leather. Finally, a Napa red with enough age to be enjoyed. Outstanding. 5 of 5. 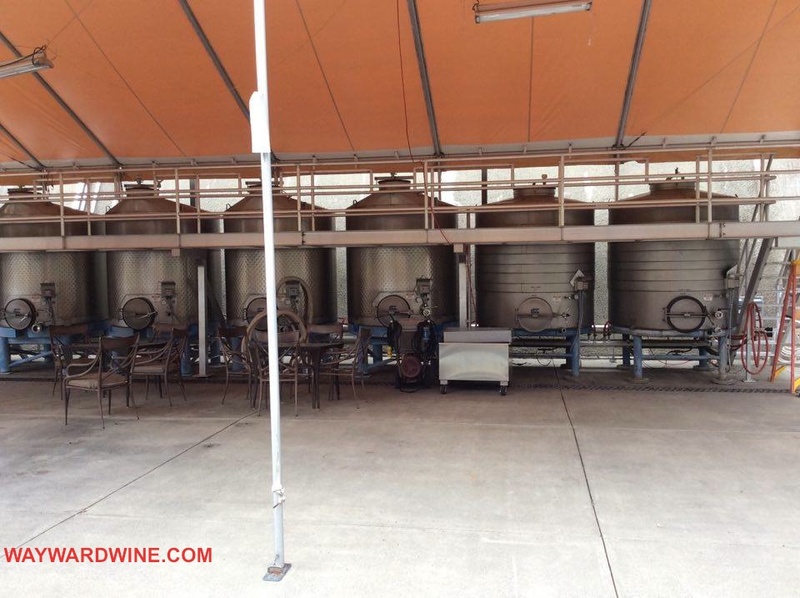 Glasses swirling, we check out the small handful of outdoor stainless fermenters that surround us. 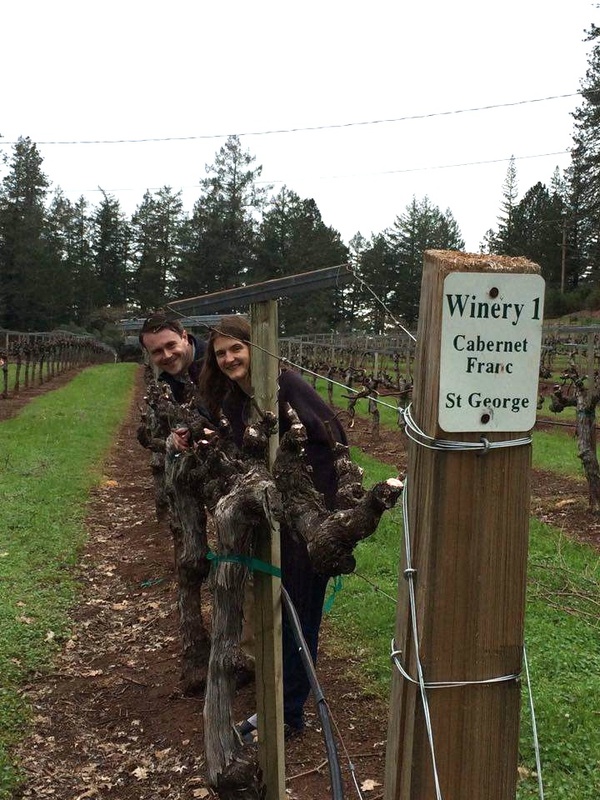 We then poke around the ancient Cabernet Franc vineyard, which, regrettably is on the chopping block as its yields lessen and trends tend to mono-varietal wines. They’re still lovely, gnarled things, strong but flaking. 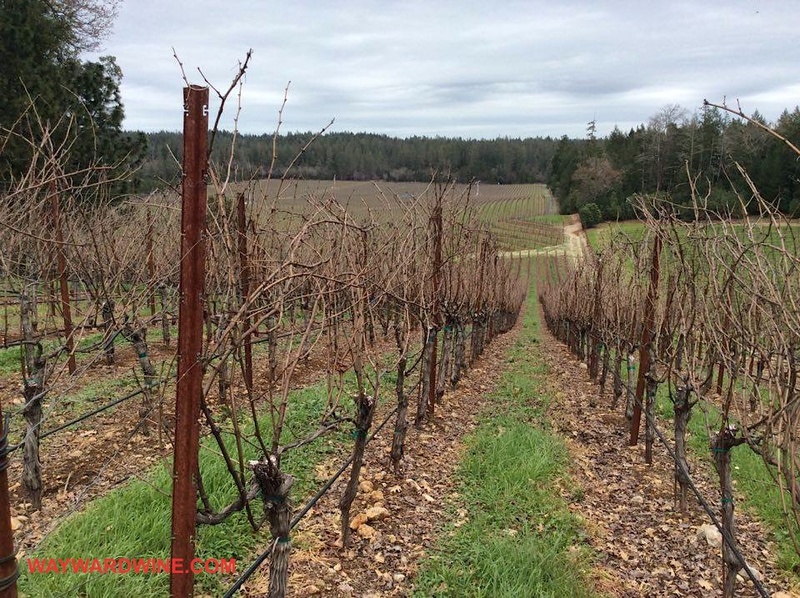 We pant our way up a crest to admire the Cabernet Sauvignon slope. 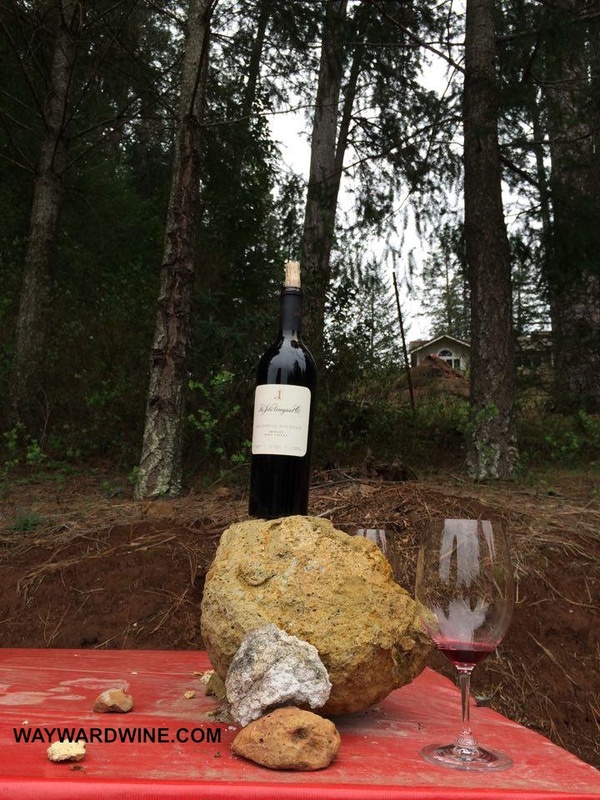 We open La Jota 2012 Cabernet Sauvignon at a picnic table, with volcanic tufa, iron rich rock and clay. Tight and young, 2012’s Cabernet looks a ruby red ink staining and leggy. AROMAS blare of rich red raspberry fruit, blackberry jam, vanilla icing, and mocha. It is dry, compact, fruity, warmly alcoholic, and full bodied. It is very good 4 of 5, but need three more years to start showing itself. Tispy, tired we tumble back into Spire’s Merc, head back to Cardinal winery, and try 2012’s single vineyard La Jota Merlot. Does it stack up to 2010? This chunky thing is all chocolate, coffee, vanilla and sumptuous velvet black fruit. Riper and fuller than the 2010, 2012 certainly shows enough complexity and easy fruit to drink now and past 2020. Its sole detractor is its heat. At 14.8% alcohol, time could help it. Very good 4 of 5. We preferred 2010’s leaner balance. 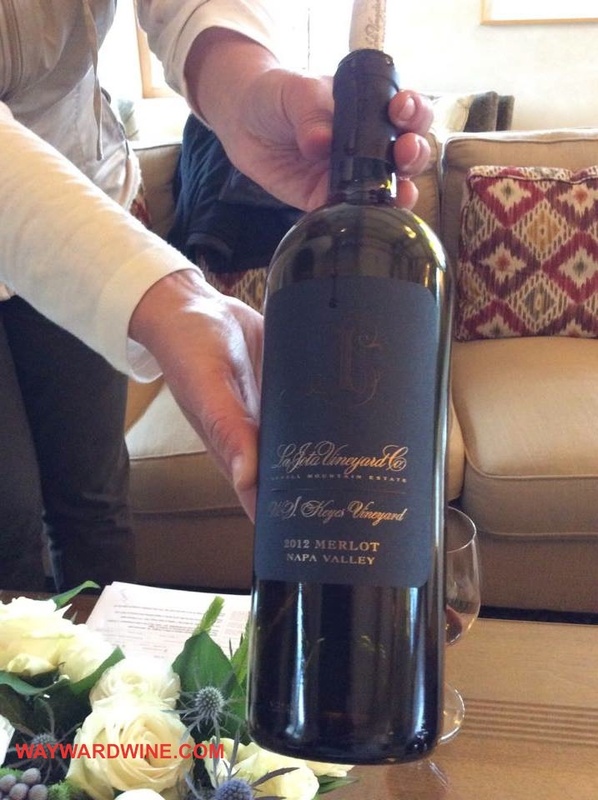 Now to show off, Sally whips out Cardinal, Cabernet Sauvignon, Napa Valley 2012. On our Napa trip we have tasted many wines like Cardinal: a winery’s iconic (most expensive) blend of the best bits of their best vineyards. This is the American way. Winemaker Chris Carpenter blends eight vineyards, Veeder dominating at 37% with Keyes and La Jota adding 28%: the summation of our day. Density. Density. Density. Just imagine slurping down black strap molasses. Intense blackberry syrup, graphite, toasted coffee, chocolate cake, nutmeg, and tobacco ash all sync without a seam stitch: like one of those waterproof raincoats. Cardinal weighs a ton. Yet enough acid and tannin lift it, lunging and launching like a sumo wrestler: monstrous yet deceivingly athletic. Cardinal consumes us. It is outstanding, 5 of 5, and will drink well for 20 years. But when would you have one? At $250 a bottle, it would sumo most foods to death. A preservation system (Coravin, Private Preserve, or vacuum pump) would stretch it, because honestly a glass or two is enough. All the pastries belong to us. 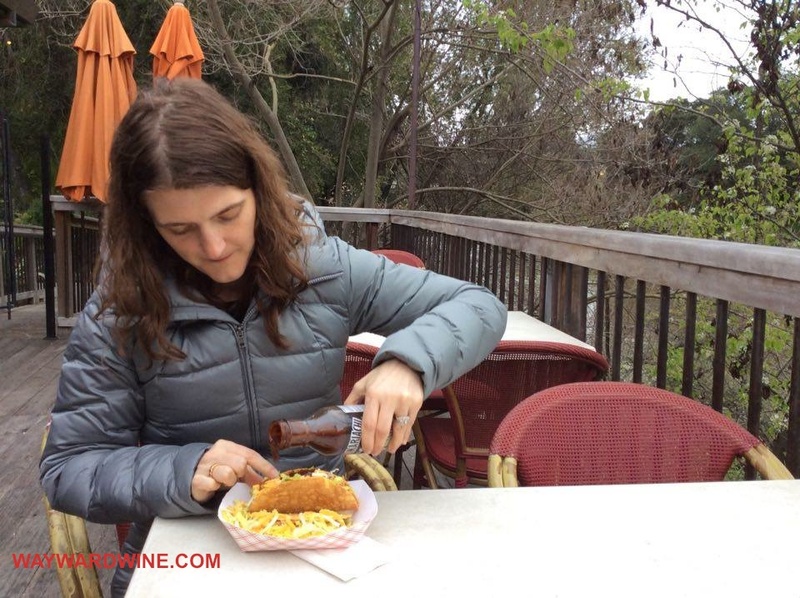 But to truly bring this day back down to earth, we tuck into Taco Tuesday alongside muddy Napa River. 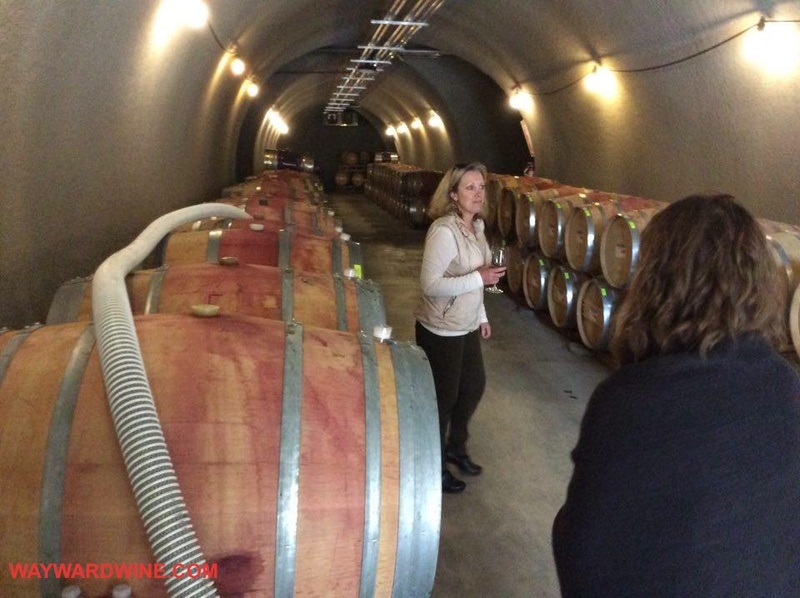 Check in next Monday as we take a Napa monster Cab break, and visit Carneros for Pinot Noir! 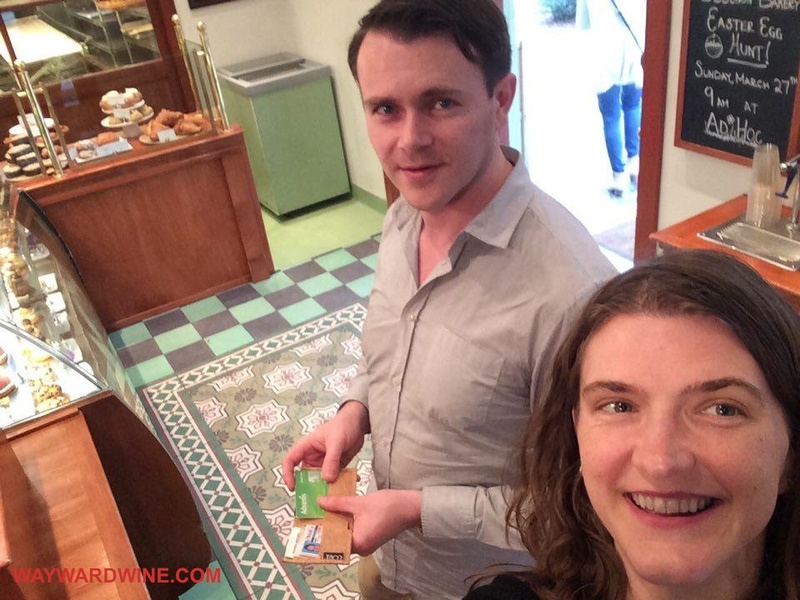 This entry was posted in Uncategorized and tagged Anniversary, bakery, cabernet, California, Howell Mountain, merlot, Napa Valley, travel, wine. Bookmark the permalink.